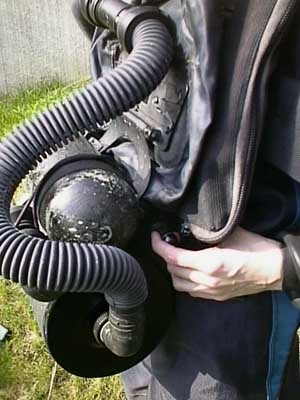 The Interspiro Oxydive is a demand controlled Closed circuit Oxygen rebreather. The unit is front mounted with an integrated life vest. It is equipped with a 1.5L 200 bar tank and has a duration of 3h+. The weight of the charged unit is 13kg. The absorber units is insulated and contains a scrubber cartridge with a radial flow design, the soda lime is packed in the cartridge, which is inserted into the unit. 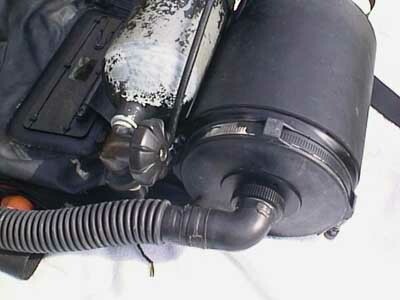 This scrubber design is found also in the ACSC/DCSC as well as in the Steam Machines' PRISM (www.steammachines.com) and the Carleton SIVA / Viper range (www.carltech.com/diving/). The unit has a demand controlled addition that adds oxygen at end of inspiration when the breathing bag volume drops. The volume at which the demand regulator is activated is adjustable in four steps by the diver to allow buoyancy control also when the workload is changed. 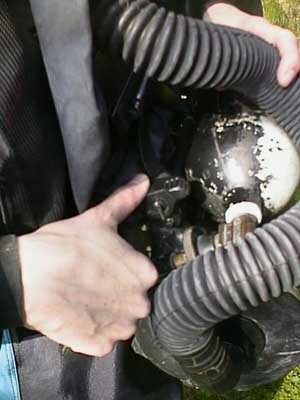 One of the setting disable to demand addition thus allowing the diver to manually control the system. Also included is a manual bypass and an over pressure valve that opens at about 20cmH2O. The integrated life west is stored in a zippered protective cover. 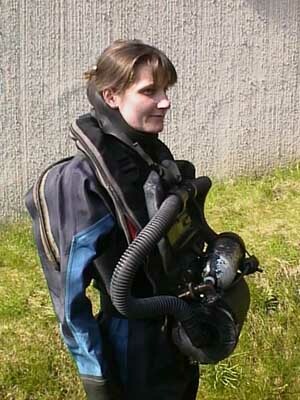 The vest is filled using a CO2 cartridge or an air tank, the latter either manually or automatically activated at a pre-set depth. For more information check the http://www.interspiro.com/oxydive.html. The unit as seen from the right. 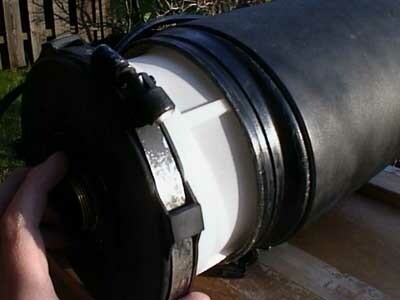 The scrubber canister is far below; the O2 tank protects the regulator assembly and parts of the breathing bag. There is an optional protective cover available for the breathing bag. The life vest is a horse collar type in a zippered cordura nylon cover. Gas flow is from left to right so the breathing hose seen is the inhalation hose. The pressure gauge is held close by a bungee cord. The buoyancy control knob. It controls at which (breathing bag) volume the demand shall be added. 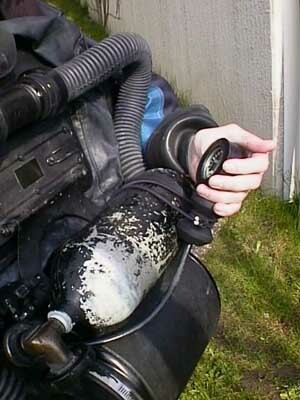 One of the settings disables the automatic demand addition to allow for the diver to breathe at low volumes for example when preparing for tactical observations. 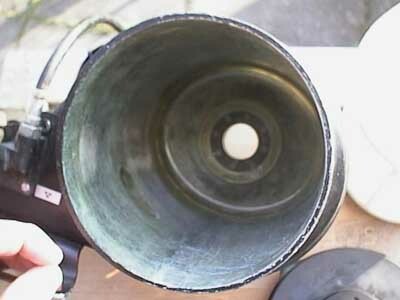 Opened absorber hosing with scrubber cartridge being pulled out. The lid seals inside the cartridge upper lid. 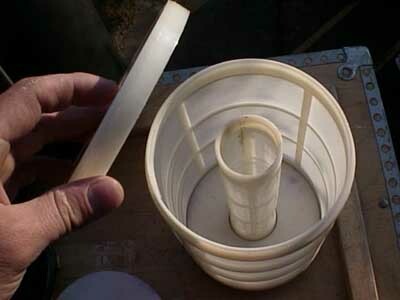 Absorber housing. 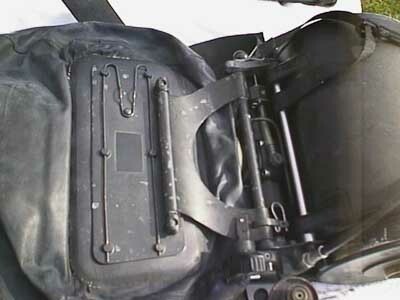 The gas flow path into the breathing bag (hardly) visible to the left. 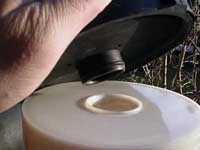 The scrubber cartridgeis filled with soda lime and is pressed close before being inserted into the Oxydive. It is very obvious when the scrubber is not packed tight enough. Gas flow is from the outside and in. The pneumatic assembly is placed between the absorber housing and the breathing bag and contains HP regulator, demand control, bypass, overpressure valve, and buoyancy control. 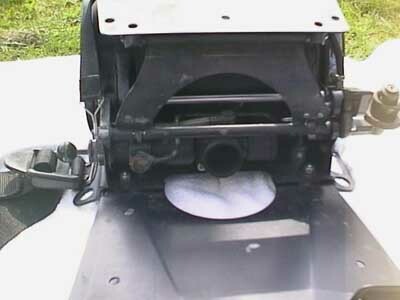 The breathing bag is very easily removed for drying/ cleaning without tools. 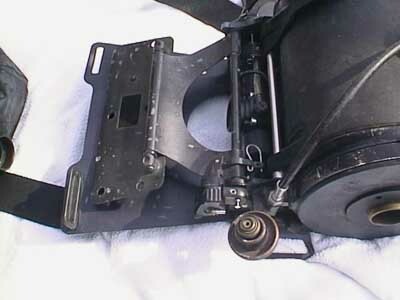 Another view of the pneumatic assembly without the breathing bag.